Give your reptile a healthy living space with this desert bulb by Zilla. Bulb is full-spectrum to give your reptile a dose of the sun. Great for arid reptile habitats. Made to give you 12 months of healthy lighting for your reptile. Desert UVB Fluorescent Reptile Bulb has different options and/or variations, please choose below. 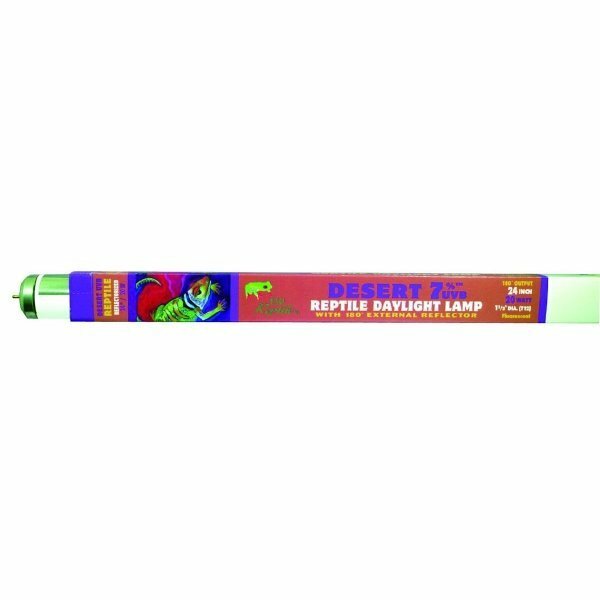 The Desert UVB Fluorescent Reptile Bulb is constructed to provide the right UVB light levels that are made to keep your reptile health. Provides full-spectrum lighting for your reptile. Made for fluorescent and incandescent light fixtures. Available in 24 in., 36 in., and 48 in.